It’s the first day of autumn, but there are more 90 degree days in the forecast — another example of the wacky weather we’re having this year in Washington, D.C. The Dunkel is my favorite of this 12 pack mix, but I wish it wasn’t exclusive to the Harvest Collection. I’d buy the Dunkel by the six-pack. The Harvest Pumpkin Ale is also exclusive to the 12 pack, but that’s OK with me. I’m not a big fan of pumpkin beers and although I like fruit beers generally, I usually don’t buy six packs of pumpkin beer. I confess to buying some Punkin Ale from Dogfish Head every fall, but that brew is sold in four packs. And it’s an incredible beer. 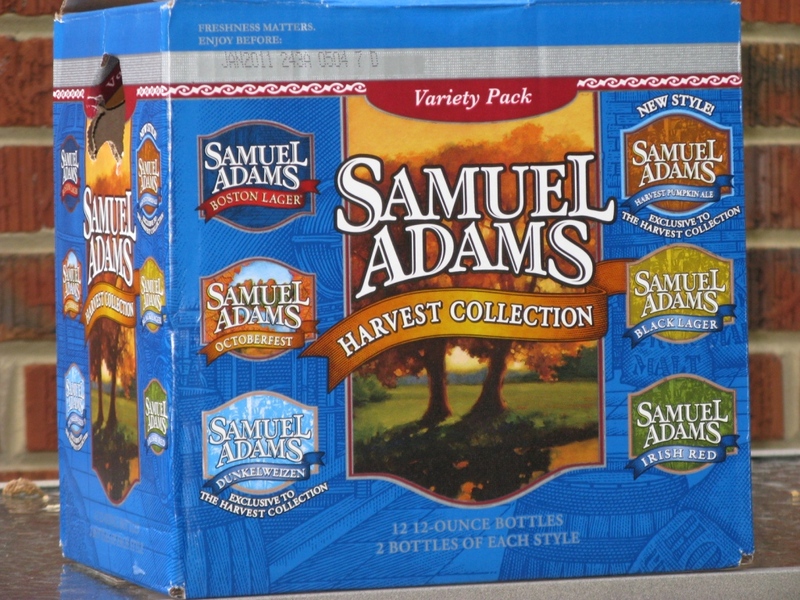 I enjoyed a case of Sam Adams Harvest Collection with my football games over the weekend of September 18-19. I’m glad that my wife likes pumpkin beer. I’ll add that with fall coming (here?) Sam Adams Octoberfest is available on tap in many fine restaurants (and even a few not-so-fine ones). Had a few myself over the last week (Outback and Greene Turtle).